Interior designer Howard Slatkin, co-founder of the iconic lifestyle brand Slatkin & Co., is renowned for combining a keen appreciation of beauty, luxury, and superb workmanship with practical know-how. 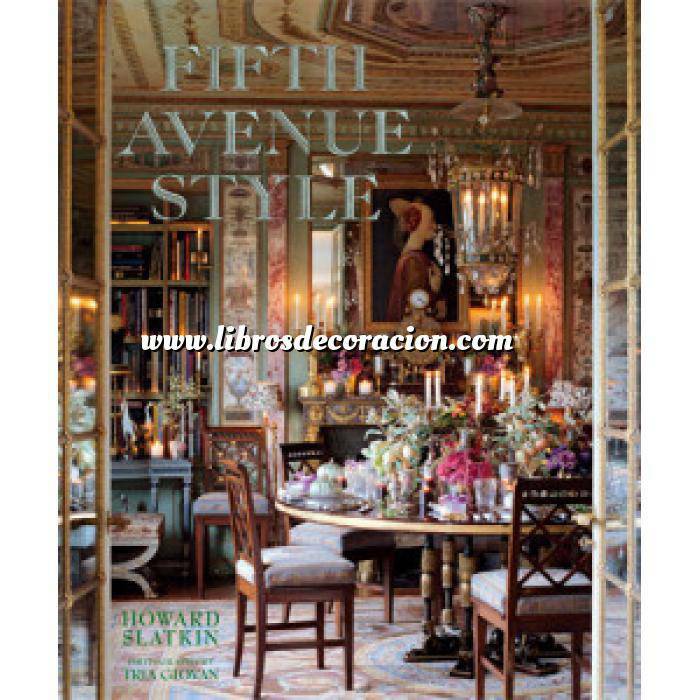 Now, in this sumptuously illustrated book, he opens the doors of his legendary Fifth Avenue apartment and invites you to accompany him on an intimate tour, not just of the main rooms, but of the service areas, closets, dressing room, and all the other intimate areas rarely seen. Along the way he shares his practical—and often ingenious—methods for creating uniquely personal rooms, shows you how to make them comfortable and functional as well as beautiful, and reveals his secrets to entertaining with ease and flair. Photographer Tria Giovan’s exceptional photography reveals how Howard Slatkin’s apartment—and any home—can achieve a level of sophisticated calm through careful lighting and floor planning, clever arrangement of furniture, and decorative display of personal collections of family photographs and objects. Drawing upon twenty-five years as a leading designer of fabled residences around the world, Howard Slatkin shows how rooms should flow naturally, how to create an intimate feeling, how to find imaginative solutions for turning awkward spaces and limitations into assets, and how to make one’s décor deeply personal. In Howard Slatkin’s hands, a simple length of rope is transformed into a decorative molding, a claustrophobic passageway becomes home to a collection of blue and white porcelains, a kitchen evolves into a room fit for a St. Petersburg palace, and a living room turns into an exotic aviary of multihued birds. Using decorative finishes, tile, and salvaged architectural elements, Slatkin has created a memorable home that is the perfect backdrop for Fifth Avenue living. Howard Slatkin is an interior designer, co-founder of lifestyle brand Slatkin & Co., and co-founder of the organic candy company Torie & Howard®. His interiors have appeared in Architectural Digest, Town & Country, House & Garden, and many other publications. He lives part-time in New York City. Tria Giovan’s photographs have been published in Aperture, Esquire, Harper’s, Travel & Leisure, Smithsonian, and Vogue, among many other publications. Her work has been exhibited in New York City, Athens, Greece, and Havana, Cuba, and is in the permanent collections of the Museum of Modern Art, the Brooklyn Museum, and the Parrish Museum. Two monographs of her work, Cuba: The Elusive Island and Sand Sea Sky: The Beaches of Sagaponack, have been published to date. She lives in Sag Harbor, NY, and New York City.